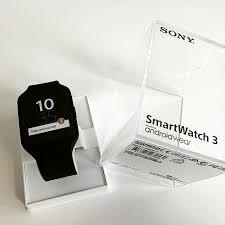 There are so many smartwatches on the market today that it can be difficult to know which ones are most suitable. That’s why you’re off to a good start by thinking about the activities you do most often and how a smartwatch could make them easier. If you go running often, numerous smartwatches can help you make the most of that popular pastime. Made with a half-inch display that’s easy to read even in bright sunlight, the Garmin Fenix 3 is an excellent complement to your outdoor running excursions. It has a three-axis compass, barometer and altimeter to help you get stats on your running environment. 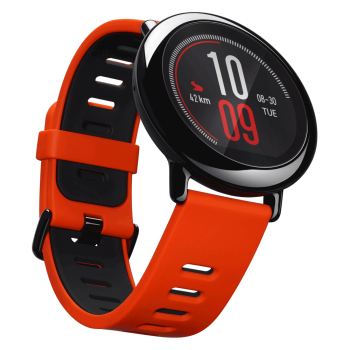 Also, when you use this smartwatch with a heart rate monitor, it includes helpful training features such as a VO2 max measurement that compares your performance with your peers. It even has a recovery advisor that suggests when to slow down the pace a bit and for how long. A fantastic purchase for runners who want a smartwatch under $200, this option has 24/7 activity tracking, so it captures things like your step count and calories burned throughout the day. 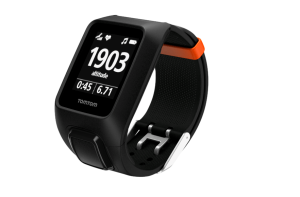 There’s also a built-in heart rate monitor, so you don’t need to wear a cumbersome chest strap in addition to the TomTom Spark 3 Cardio. The gadget also offers five heart rate training zones to help you get the cardio results you want without delay. Thanks to a GPS tracking system, the watch shows live statistics about your time, pace and the routes you’re taking. When using the GPS and heart rate monitor together, the battery in the watch lasts for up to nine hours. 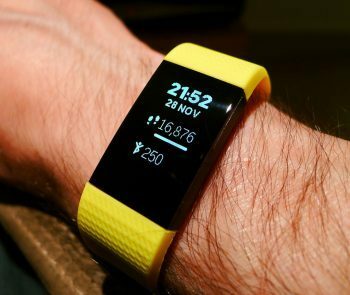 For some runners, having a heart rate monitor embedded in a smartwatch is not sufficient. They want reliable accuracy they can trust. 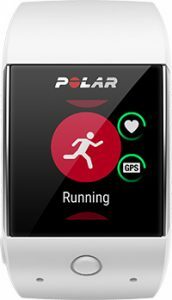 If you can relate, the Polar M430 has six sensors that use optical LED technology to pick up your pulse. 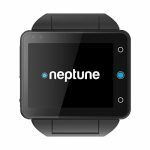 There’s no need to use a chest monitor with this watch for iOS and Android, because the wrist components have you covered. 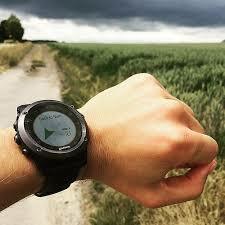 Depending on the GPS mode used, this watch offers up to 30 hours of battery life, so it’s great for long-distance training. As far as timing, the watch can give you statistics such as interval times or your estimated finish time. There’s also a stopwatch. Because your training can be drastically affected by the way you slumber, consider using the sleep tracker on this watch. It automatically detects what time you go to sleep, how long you get shut-eye and the quality of your rest. Maybe you can’t imagine going on a run without some motivating tunes as a soundtrack. If that’s the case, turn your attention to smartwatches with integrated music players. 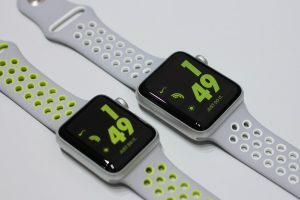 The Apple Watch Nike+ comes with all the features of a standard Apple Watch, plus some other perks that are especially exciting for runners and other athletes. For example, you can stream millions of songs from the Apple Music library or ask Siri for directions. There’s also a capability that allows you to compare your most current run with your last five excursions. Knowing those specifics could help you determine if your training is paying off or you need to take a different approach. Since this smartwatch works with the Nike+ Run Club app, you can use it to stream an audio-guided run that includes tips from coaches, tunes to keep you energized and more. Social notifications from fellow runners in your network give you valuable perspectives and help you realize that even if you’re running solo, you’re never really alone. Available in five colors, including a bright yellow option, this smartwatch from Sony features a gyroscope and an accelerometer to track when you’re on the move and figure out what you’re doing. The GPS technology records where you’ve run and how far you’ve come. One standout feature of the Amazfit Pace is the five-day battery life with regular use. It also lasts up to 11 days if you use the watch in a stripped-down way and only depend on its most basic features. The built-in music storage lets you take beloved tunes wherever you go, while the heart rate monitor tells you whether you’re in your target training zone associated with your running goals. Also, since this gadget works with Bluetooth earbuds, you can enjoy recorded material without dealing with pesky cords. 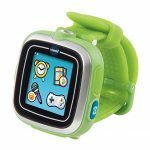 This watch also earned IP67 certification, which means it’s resistant to dust, dirt and accidental submersion in water. 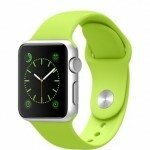 Plus, the ceramic bezel resists scratches and covers a watch face that’s easy to read even in bright sunlight. This feature-filled smartwatch can give you a score of your cardio fitness, which could highlight room for improvement during your training runs. 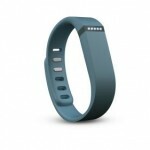 It calculates how fit you are based on your age and VO2 max measurements. If your total is below normal and you’re not happy with that, don’t worry. The Fitbit Charge 2 also offers tips to improve your fitness, such as by reaching a healthier weight or making your running sessions more intense. 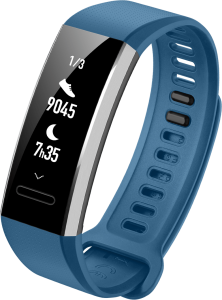 Also, made with the understanding that a well-balanced life includes downtime after you go running, the Fitbit Charge 2 has a Guided Breathing Experience feature called Relax. It uses your heart rate data to suggest breathing exercises to help you find moments of calmness during a busy day. Each session lasts from two to five minutes, meaning you can always discover time to unwind when necessary. Maybe you prefer smartwatches with minimalistic appearances. In that case, this option from Huawei has a face that’s the same width as the band. Consider buying it if you’re interested in purchasing a smartwatch for running but don’t want a model with a large face that could get in the way — especially if you don’t normally wear a watch. The digital display has a streamlined, stacked design that’s readable without taking up too much space. Able to last up to three weeks per charge, this smartwatch also has a running coach app you can activate with one press of a button. It tracks characteristics such as your pace and movements, then uses scientific algorithms to advise how to improve. Thanks to the 50-meter water resistance of this model, it’s a choice you can wear if you often combine your runs with swims in a pool, such as when training for an event that combines running and swimming. This Huawei watch can also check your sleep characteristics and see how much time you spend in REM sleep. It then provides personalized advice that could help you wake up feeling more refreshed and ready to run at your best. No matter if you’re ready to splurge or are on a tight budget, this list of running-ready smartwatches will help you feel more informed as you strive to achieve your best times yet while being mindful of factors like your heart rate and distance traveled. Since the picks above are stylish, you probably won’t even mind wearing them when doing things other than running.